Posted on July 18, 2015 by Lena K.
You all saw it coming, didn’t you? Facebook, Tumblr, Twitter, even Google+; the whole internet is talking about Citrus, and it’s splitting the entire yuri fanbase. As a yuri fan, I admittedly haven’t been around for that many years, but during the few years I’ve been a fan, I’ve never witnessed anything like that. Our latest Yuri Tournament also proves that Citrus is indeed big, but also hated. I was thinking very long about what word to use here, but hated might actually be very accurate. You have been warned. This post is going to be all about Citrus, and I’m a Citrus fangirl on top of that, so please just click away if you can’t deal with it. So, yeah. How did it all start? Well, it’s been a while, hasn’t it? But even the first chapter of this manga managed to get a surprising high amount of attention, mostly positive. Okay, to be fair, you can’t really go wrong with a first chapter that basically just shows gorgeous art and two girls making out, so at that point, not many people were able to rant about anything. Though, as quickly as this manga’s popularity rose, haters appeared as well. A few months back, I just thought that those who hated on Citrus were jealous of it. Maybe jealous because its popularity was greater than their favorite manga, but I now admit that I was mostly wrong. 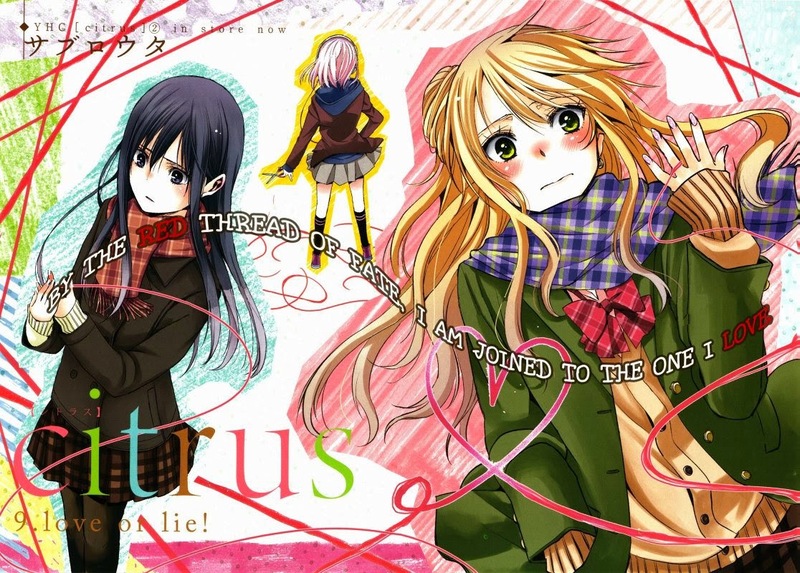 News Update: November 2014 – Possible Citrus Anime? Before I start with what I have to say, please note that this is not an official announcement! What I’m about to say is a guess I made based on some pieces of information I found online. 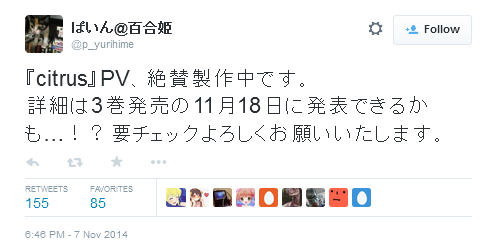 I repeat, this is no official information, so please don’t treat it as such. A Citrus PV is in production right now. More information will follow when the third volume is released on November 18th. 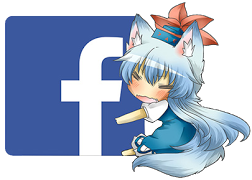 Posted on March 19, 2014 by Lena K.
This is the first time for me to actually review single volumes of a manga, and I’m pretty sure this won’t become a regular thing for me in the future. 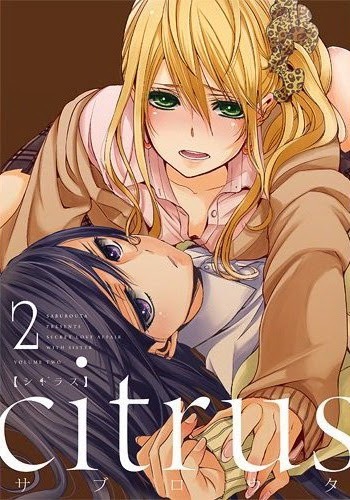 However, Citrus is so big right now and I love it so much that I just can’t not write about it. In this volume, we finally find out the reasons behind Mei’s bitchy behavior, see Yuzu and Himeko fight over their crush, and we also witness what happens when Mei’s father finally returns home. It doesn’t sound like that much, but within just the 4 chapters of this volume, there’s a whole lot going on. Citrus is not really that fast-paced, but it really feels like an emotional roller coaster in some parts. I guess this is something I quite love about this manga; there are no fillers, and every chapter simply delivers the plot you want to find after a 2 month wait. Also, there are no unnecessary sub-stories about the side characters. Citrus fully focuses on Yuzu and Mei, and that is a good thing.